When music and images blend well they can take the audiences to another place emotionally and dramatically. Bad film music intrudes without complimenting the action. A great score gets under your skin, triggers your subconscious, enhances the drama and helps drive the emotional power train of the movie. I always think it a compliment when the music from your films is used in another film’s trailer. There’s a Randy Edelman cue from my film Come See the Paradise called ‘Fire in the Brooklyn Theatre’ that has been used for the trailers of at least a dozen or more other movies at last count. The music cue from The Life of David Gale, called ‘Almost Martyrs’ by Jake Parker, was used for the trailers of The Artist, Munich, The Iron Lady, and Milk. It stops being flattering after a while. Why can’t they use their own music? With electronic scores you can experiment — building up the tracks one at a time and laying them against the picture. 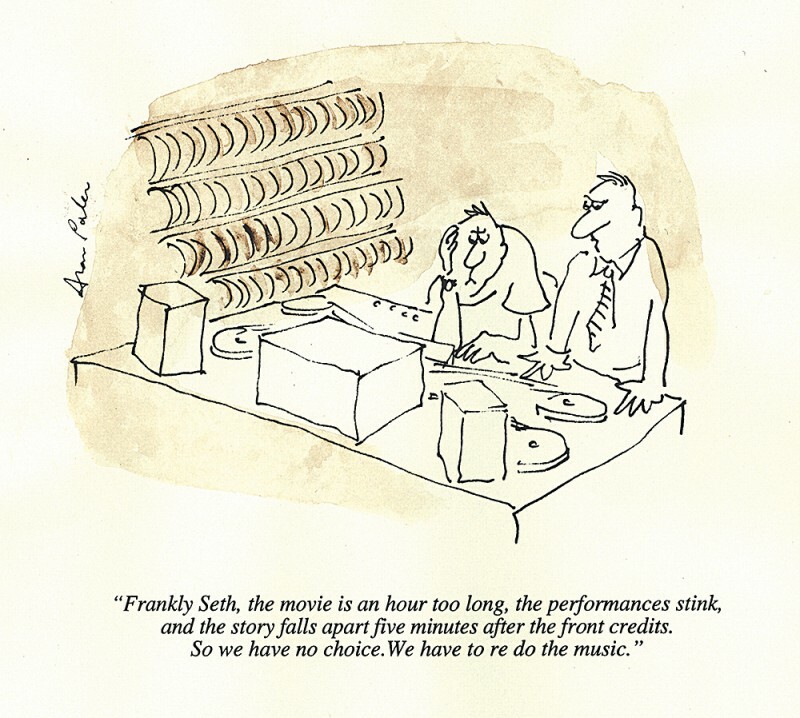 With a traditional orchestra score you hand over your movie and have no idea what the music will sound like, or whether it will work, until the conductor strikes up the (very expensive) orchestra. All the great film composers from Steiner to Hermann to Williams have embezzled from the classics of the past.